Three of Rotherham's leading exporters are set to share their export journey, offer their insights and reveal their top tips for local businesses looking to break into international trade at an event next month. 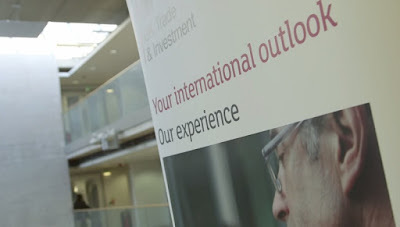 Organised by UKTI, the Sheffield City Region Local Enterprise Partnership (LEP) and RiDO, the business and regeneration arm of Rotherham Council, the free breakfast event aims to help grow the Rotherham economy by helping every business fulfil their export potential. Held at RiDO's Fusion @ Magna in Rotherham on October 15, it is aimed at entrepreneurs looking to take their first step in exports, businesses wanting to get top tips on expanding overseas operations or for anyone wanting to meet valuable contacts who can share their expertise and global networks. One the UK's largest importer and exporter of tents, marquees and pop up awnings, Gala Tents will highlight the growth of the business from a temporary table top operation in the function room of a local working men's club to an international supplier. Moving to Manvers in 2011, the firm now turns over more than £10m a year and exports to dozens of countries around the globe. Also at the event are Newburgh Engineering, which has grown into an internationally-renowned, award-winning business that specialises in manufacturing medium to large precision engineering components and assemblies. In 2004, a purpose built facility was constructed at Templeborough, Rotherham, which has since expanded to 135,000 sq ft of modern manufacturing space. In its 75th year in 2014, Newburgh Engineering decided to split its two sites, Rotherham and Bradwell, into two separate businesses. Newburgh Precision Ltd, the high-tech precision engineering sub-contractor with a facility in Rotherham, has expanded its apprentice training school and invested in new equipment, taking on twice as many apprentices. Rotherham success story, Pyronix will update attendees on continued plans to boost exports of their award-winning range of electronic security equipment for intruder alarms. Turnover this year is expected to be over £23m and the expanding firm sells around £11m worth of products to the UK market. New export markets such as Italy, Russia and Poland have been identified, where the aim is to replicate the sales success. The firm already exports to over 70 countries worldwide. Those attending will also receive a free copy of a new guide to international trade called Five Steps To Export, which offers simple advice on identifying new opportunities overseas and how you can find growth on foreign shores. Mark Robson, regional director of UKTI Yorkshire and Humber, said: "Exports are crucial to the future prosperity of this region. This event will allow businesses in Rotherham to hear how their neighbours are finding growth in international trade, learn how they can do the same and also meet like-minded businesses who can help them on their export journey." William Beckett, who won two Queen's Awards for International Trade with William Beckett Plastics and is Chair of the Sheffield City Region Export Partnership, added: "The LEP is dedicated to helping more businesses deliver growth through international trade. By working together and sharing our experiences and contacts we can really show the world what the Sheffield City Region has to offer the world."